This well deserved recognition is for her commitment to all FEPOW Veterans, their wives and widows by taking care of both their Social Welfare, with Reunion weekends and in respect of the grant support she provides for them, helping them to have a more comfortable and better quality of life. 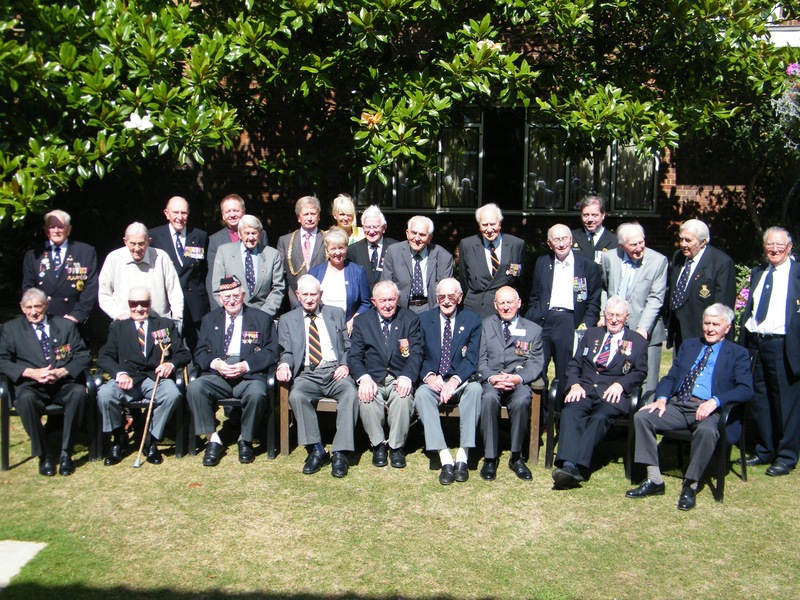 From 2006 the very first FEPOW Reunion weekend organised by Pauline in Scarborough, to 2015 the 70th Anniversary VJ Day Remembrance service Pauline has tirelessly given of her time to them. The EDP local paper printed – ‘Pauline Simpson has received a British Empire Medal, on the back of a year in which she organised the 70th anniversary VJ Day service of remembrance. It took months of planning for Mrs Simpson, of Neatishead, North Norfolk, to organise the event, which took place in London, and was attended by the Queen and the Duke of Edinburgh. Her father was a Far East Prisoner of War (FEPOW) who endured three and a half years of brutal captivity, including a spell on the notorious Death Railway. Mrs Simpson has been recognised for her role as the secretary to the National FEPOW Fellowship Welfare Remembrance Association, and for her voluntary service to the Former Far East Prisoners of War community’. This entry was posted in Special Events on January 1, 2016 by Andrew Brown. The NFFWRA standard was dedicated on Sunday 8th February 2015 at the Church of St Peter Mancroft, in Norwich. This entry was posted in Services, Special Events on January 7, 2015 by fepoweditor. 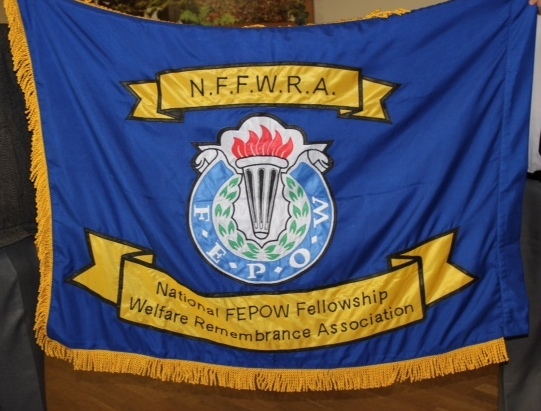 Already 2 years have passed since the National FEPOW Fellowship Welfare Remembrance Association (NFFWRA) began their initial preparations for their plans to commemorate the 70th Anniversary of the end of the war in the Far East (VJ Day) on 15th August 2015. Although still a way off , the 14-month count down has now begun following a visit to Buckingham Palace on Wednesday 21st May 2014. FEPOW Chaplain Mrs Pauline Simpson of Neatishead was the guest of the Association’s Patron HRH the Duke of Gloucester, at a garden party held at Buckingham Palace to celebrate the achievements of a variety of charities and organisations up and down the country, which are supported by members of the Royal family. Her husband Mr Jeremy Simpson, the Association’s Chairman and Treasurer, Mr and Mrs Tony Burrows, and FEPOW veteran Stan Burridge, 95, and Stan’s daughter Mrs Karen Woodford, accompanied Mrs Simpson. NFFWRA Secretary Pauline Simpson & her husband Jerry with Chairman Tony Burrows and his wife, Treasurer Lynda Burrows. HRH the Duke of Gloucester, having been introduced to Mrs Simpson, went on to spend several moments with the group and was immensely interested in the activities of the Association and was pleased to be associated as it’s Patron. Following afternoon tea and the opportunity to enjoy the gardens, there followed a walk about by the Royal party in which the Duke of Edinburgh, Princess Beatrice, Princess Michael and the Duchess of Gloucester stopped briefly to chat with members of the FEPOW party. The Association recognises that in the next 14 months the real hard work is now to begin with reaching out to all those FEPOWs still alive along with their families to bring this Anniversary to the nation’s attention – to remember the ‘Forgotten army’. A service is to take place in the Church of St Martin-in-the-Field, Trafalgar Square London on 15th August 2015 at 11am. The Rt Rev’d Nigel Stock, Bishop at Lambeth, who was recently appointed as The Bishop to the Armed Forces is to preach at the service. It is hoped that HRH the Duke of Gloucester will be in attendance. Arrangements are being made with local coach and rail services in East Anglia to get the veterans and their families there and back whether it is just for the day or the weekend. Accommodation has been organised at the Union Jack Club near Waterloo Station for those who wish to stay over on the Friday 14th August and/or the Saturday 15th August. On Saturday there will be an evening of ‘40’s entertainment, which follows a hot buffet later in the day (this will be free for all veterans, wives and widows). Update on 8th July 2015 – the response for applications for tickets for the VJ Day service at St.Martin’s in the Fields and for the dinner at the Union Jack Club has been overwhelming and there are now no tickets available for either the service or the dinner. Anyone without a ticket who still wishes to attend the service please email enquiries@nationalfepowfellowship.org.uk from 1st August 2015 to see whether any tickets have become available as a result of cancellations. This entry was posted in Special Events on May 21, 2014 by fepoweditor. NFFWRA organised a 2 night stay in Southampton for Saturday 26th and Sunday 27th October 2013 to attend the unveiling ceremony of the FEPOW plaque dedicated to those who arrived in Southampton on their return from the Far East. The Researching FEPOW History (RFH) Group, led by Meg Parkes, was instrumental in erecting a Repatriation Memorial to mark the return of FEPOW and civilian internees to the port in the autumn and early winter of 1945. The ﬁrst Repatriation Memorial was erected on Liverpool’s Pier Head in October 2011.The very ﬁrst ship to arrive back in Britain was the P&O liner, SS Corfu which docked in Southampton on 7 October 1945 with over 1,500 FEPOW and a few civilian internees on board. Both plaques commemorate the arrival in British ports of over 37,500 FEPOW (British military personnel) and several thousand civilian internees (men, women and children.) All had spent up to three and a half years in captivity in South East Asia and the Far East. The majority, though not all, returned home by ship and disembarked in either Southampton or Liverpool. 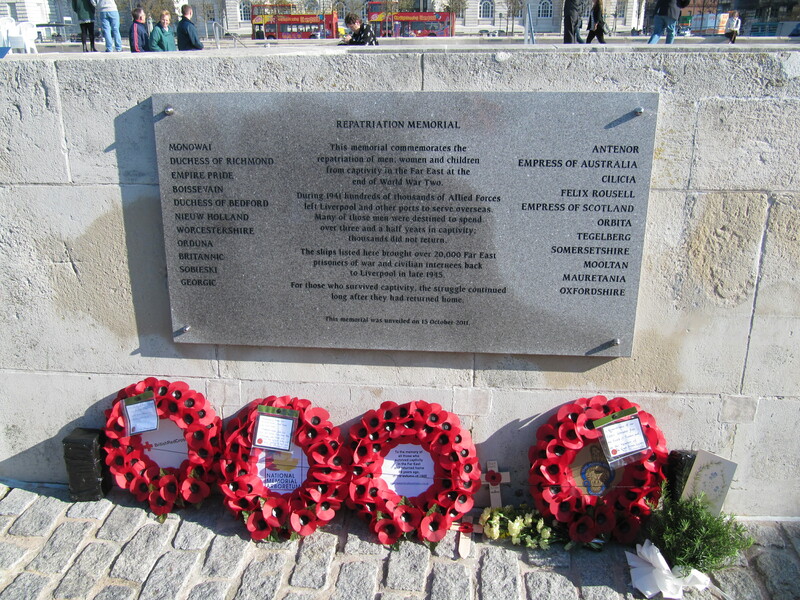 The granite memorial has been erected on a wall within Southampton’s Town Quay Park, facing Southampton Water and the docks where the ships arrived. The park is run by a local community group, the Friends of Town Quay Park, and Southampton City Council agreed that such an important memorial should be sited within this small historic park. Town Quay Park, surrounded by the medieval city walls, is one of the few places where there is a good view of the waterfront so it is very ﬁtting that the memorial overlooks where the POWs arrived home. The area around the plaque has been landscaped with a sympathetic planting scheme including bamboo and grasses, helped by donations from NFFWRA members. The plaque, like the one in Liverpool, has been inscribed with a central dedication and ﬂanked by the names of the ships that docked in each port. The service, held i n the Church of St Michael the Archangel, was an all ticket affair, and it was attended by the Deputy Lord Lieutenant of Hampshire, the Mayor and other local dignitaries. At least 13 FEPOWs and many relatives of FEPOWs and internees were there. The photograph on the cover of the Order of Service was of Tom Boardman playing the ukulele he made in Thailand, on his disembarkation from the SS Corfu in Southampton on 7th October 1945. It was a moving service, including a reading by Maurice Naylor, the Act of Remembrance led by FEPOW Chaplain Pauline Simpson, the NFFWRA Secretary, and the FEPOW Prayer given by Stan Vickerstaff, FEPOW Chaplain and NFFWRA Secretary Pauline Simpson. After the service there was a walk past the memorial led by a lone piper – fortunately the rain held off. NFFWRA welcomed special guest Captain Tom Tulloch, Naval Advisor to the Canadian High Commission, and his wife Bonita. As it was too windy to lay the wreaths at the memorial on Sunday, the St. Jude gale hitting Southampton just a few hours later, they were laid around the altar rails in the church and moved to the memorial site on Monday. Refreshments were then provided at St.Joseph’s Hall giving us all a chance to talk and share our thoughts with FEPOWS, internees and their families. That evening many NFFWRA members enjoyed a Thai meal at the Kutis Royal Thai Pier Restaurant, the only surviving part of the Royal Pier, opposite the memorial plaque and gardens. FEPOW Tom Boardman gave a heartfelt and moving address recalling his emotions on his return, and expressing his thanks, on behalf of himself and all of his comrades, to the people of Southampton who had turned out in large numbers that October day in 1945 to cheer and welcome the FEPOWs and civilians home. Tom paid tribute to those of his comrades who did not return. Later Tom’s son Ron told us how much thought his father had put into the various drafts of his short speech and it showed – the care to say what he wanted to is entirely typical of Tom. This entry was posted in Special Events on October 27, 2013 by fepoweditor. In October 2013, NFFWRA arranged for members to attend this extraordinary musical performance commemoration of the 70th anniversary of the first performance of the Women’s Vocal Orchestra created in the Civilian Internment camp at Palembang in Sumatra in 1943. 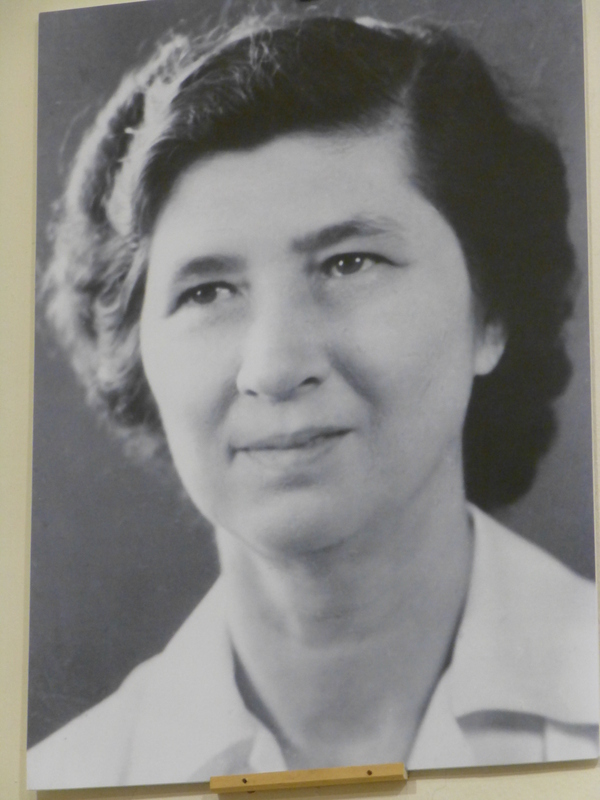 Margaret Dryburgh, the daughter of a Presbyterian Minister, who was the Principal of KuoChuam Girls’ School in Singapore, and Norah Chambers, nee Hope, a music teacher in Singapore, both fled from Singapore just before it fell on 15th February 1942. By chance they were interned together in Sumatra after being captured on Bangka Island later that month. After several moves in dreadful conditions they moved to a dilapidated barracks in the middle of the Sumatran jungle at Palembang where 600 women and children were crammed into this insanitary compound with 50 to a hut and just 27 inches of bed space. This was the internment camp upon which the BBC TV series Tenko was based. To restore morale and to overcome the language difficulties (there were 21 nationalities in all, although the original Palembang vocal orchestra was made up principally of British, Dutch and Australian women) Norah Chambers had the inspired idea to form an orchestra by using women’s voices in place of musical instruments. She and Margaret Dryburgh wrote from memory the music of various pieces on little scraps of paper that they could find. They then set about condensing complex classic works, taking main themes with the right modulations and harmonic changes and weaving them into miniature works – complete in themselves. Instead of words they would hum, la or sing vowels to the music. This 70th anniversary celebratory concert was performed by the Chichester Women’s Vocal Orchestra (which had been created for this concert) at St. Paul’s Church, Chichester because one of organisers of the event is a member of the church and is the daughter of Shelagh Lea (nee Brown) one of the survivors from the prison camp who was a member of the vocal orchestra. 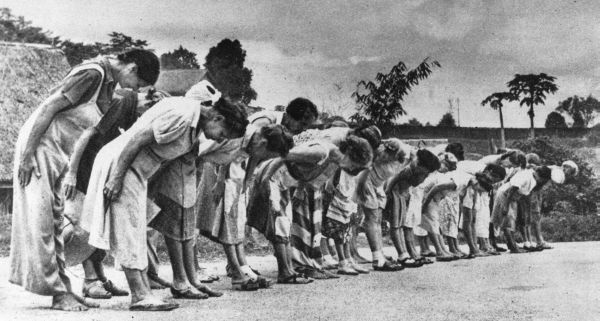 Shelagh was interned with her mother who subsequently died in captivity and is buried at Palembang. The concert was organised by five women who each have a deep and abiding interest in the history of internment in the Far East during World War II. They are: Dr Bernice Archer PhD, author of The Internment of Western Civilians under the Japanese 1941-1945: A Patchwork of Internment (2005) Margaret Caldicott, flute teacher and daughter and granddaughter of two of the Palembang women (Shelagh Lea, nee Brown and Mary Brown) Barbara Coombes (MA), lecturer and biographer of Margaret Dryburgh and Shelagh Lea Meg Parkes MPhil, a researcher in WWII Far East captivity and author of two books based on her father’s Far East POW experiences Lavinia Warner, author of Women Beyond the Wire (1982), which tells the story of the women and Palembang and the creation of the Vocal Orchestra. Lavinia, an independent film and TV producer, created and storylined the successful 1980’s TV series Tenko which gave a fictionalised account of the experiences of the women and children imprisoned by the Japanese. It was during the Researching Far East POW Group conference at the National Memorial Arboretum in 2011 that Meg Parkes first suggested to Bernice Archer the idea of organising a concert in 2013 to mark the 70th anniversary of the Vocal Orchestra’s creation. Margaret Caldicott, Barbara Coombes and Lavinia Warner eagerly supported the idea. The organisers shared the belief that the women of Palembang, and in particular Norah Chambers and Margaret Dryburgh, should be remembered and honoured for their courage, tenacity and creativity. Their example is as vital and life-enhancing today as it was 70 years ago. All felt a duty to bring this history to life for a new generation and to encourage anyone who is inspired by it to mark the 70th anniversary (or any future anniversaries) in their own way. The narrators of the concert, who told the story of the vocal orchestra, and read poems written by some of the internees, in between the music, were the well-known and accomplished actresses, Stephanie Cole and Louise Jameson. They, and Veronica Roberts, who was the concert’s producer, were very familiar with the story of the women prisoners of the Japanese having all previously starred in Lavinia Warner’s drama Tenko. To close the concert the audience joined with the Vocal Orchestra to sing the words of The Captives Hymn which was composed by Margaret Dryburgh in 1942 and was sung originally at a camp Sunday service. Thereafter it was sung every Sunday throughout their years in captivity. This same hymn was sung at the Service of Dedication to the Repatriation Memorial at The Church of St. Michael the Archangel in Southampton the next day. The concert was sponsored by the Malayan Volunteers Group and any profit will be divided between a memorial for those civilians who died in this area of Sumatra and the local school in Kampong Mengelang village in Muntok, on Bangka Island, Sumatra. Those of us privileged to be present for this moving and historic performance were astonished to learn afterwards that the all women choir had only been rehearsing for six weeks. More details about the concert can be found at website http://singingtosurvive.com/ The Singing to Survive concert was professionally filmed in full so that it can be retained as an important record for the Imperial War Museum and other archives. A documentary about the vocal orchestra incorporating footage of the concert is also in the planning stages which may eventually be made publicly accessible. This entry was posted in Special Events on October 26, 2013 by fepoweditor. This photo of FEPOW veterans was taken after a powerful and moving service of Remembrance and Thanksgiving at the Church of St Peter Mancroft Norwich on Thursday August 15th 2103 on the 68th Anniversary of VJ Day. Also in the photograph are the Right Reverend Alan Winton, Bishop of Thetford, who preached at the service, Captain Tom Tulloch, Naval Advisor to the Canadian High Commission with the Sheriff of Norwich, Mr Graham Creelman and Mrs Vivica Parsons and the FEPOW Chaplain Mrs Pauline Simpson. The Deputy Lord Lieutenant Mr Charlie Barratt (son of a FEPOW) was also present although he is not in the photograph. The photo was taken after the service at the Norwood Suite, Assembly Rooms where 100 guests enjoyed a buffet lunch organised by the National FEPOW Fellowship Welfare Remembrance Association (NFFWRA). Mrs Robin Eaton, widow of Tom Eaton, former President of the Norwich FEPOW Association who arranged the FEPOW Memorial in the Church of St Peter Mancroft in 1987, read a lesson at the service and her son and 2 grandsons laid a wreath at the memorial. Major Reeve (Royal Norfolk’s) and a former Trustee of the Central FEPOW Welfare Fund also read a lesson. We were honoured to have with us one of our NFFWRA Patrons Patrick Toosey, the son of Lieutenant Colonel Philip Toosey, who was put in charge of constructing the Bridge On the River Kwai by the Japanese. Around 200 people attended the service including the 20 FEPOWs, spouses and many widows of former FEPOWs. This entry was posted in Services, Special Events on August 21, 2013 by fepoweditor. 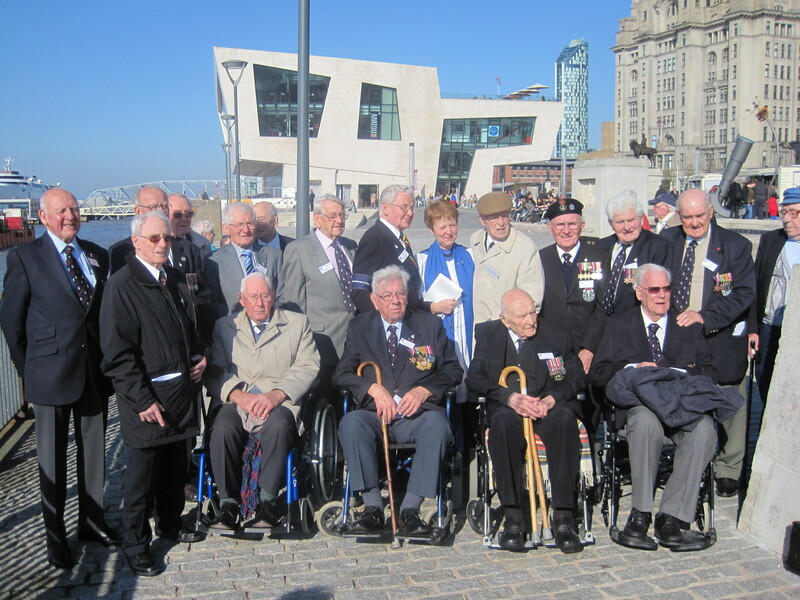 Glorious homecomings were recalled win October 2011 when tribute was paid to the Far East Prisoners of War and civilian internees who returned to Liverpool during the autumn of 1945. Exactly 66 years after the Dutch ship Nieuw Holland docked, carrying, among others, seamen who had been held in the notorious Changi jail in Singapore for more than three-and-a-half years, a repatriation memorial plaque was unveiled at the Pier Head. The plaque, situated alongside other World War II maritime memorials near the new Museum of Liverpool, is the first memorial to those thousands of men, women and children who survived their ordeal in Japanese PoW camps. During 1940-41 thousands of troops left Liverpool for service overseas, including some of the 50,000 British forces personnel later captured by the Japanese after the fall of Hong Kong (December 1941), Singapore (February 1942) and the Dutch East Indies (March 1942). They were put to work as a slave labour force under appalling conditions of neglect and abuse and more than a quarter died in captivity. 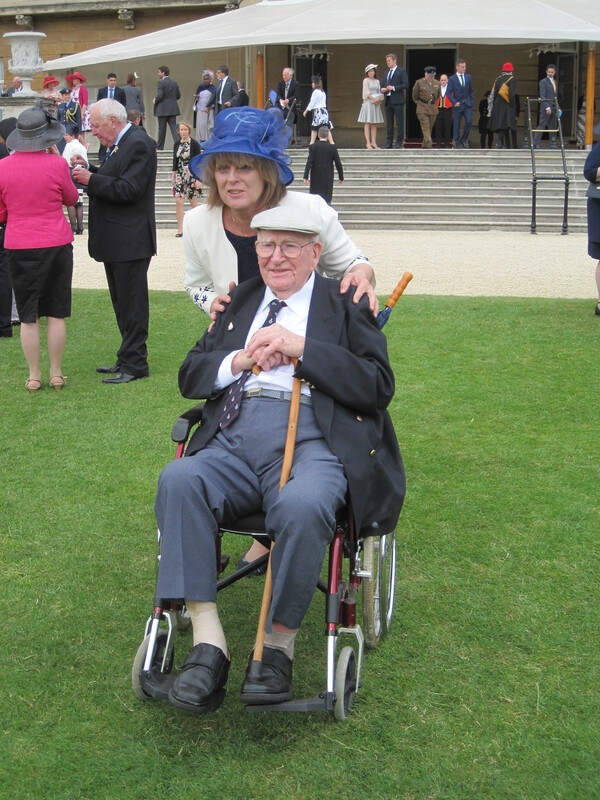 More than 20 former prisoners from around the country, who are now in their 90s, were among hundreds of invited guests who attended the unveiling service at 11am on a gloriously sunny day on Saturday 16th October 2011. 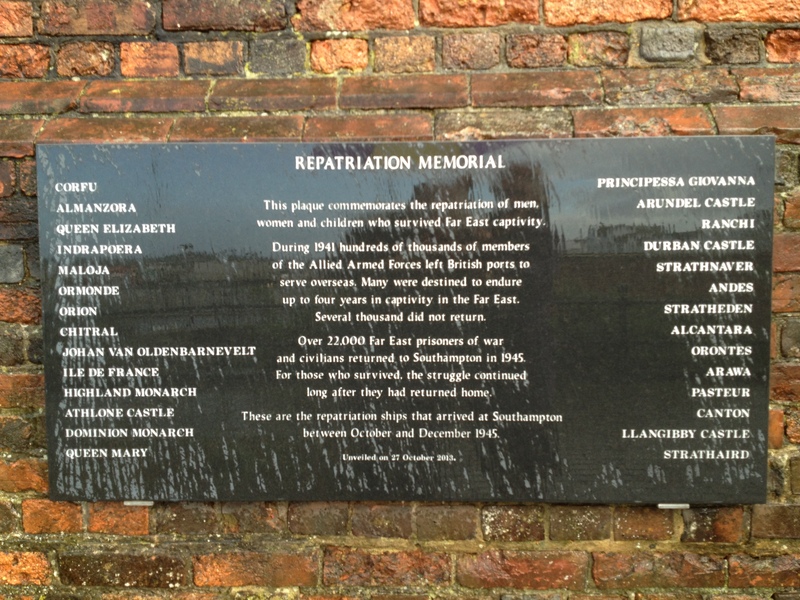 A large, grey granite plaque bears the names of the 22 repatriation ships which docked there between October and December 1945. The ships are listed in two columns, either side of a central dedication. The first ship – the Monowai – arrived on October 8 and once the 22nd and final ship had docked more than 20,000 FEPOWs and civilians had come home. Meg’s father, Andrew Atholl Duncan, from St Andrews, Scotland, was held in Java and Japan and returned home through Southampton on November 18, 1945. He and his wife, Elizabeth, later settled in Moreton, where they were GPs. FEPOW widow Merle Hesp, from Warrington, who gave a reading at the service, was married to Harry Hesp, a crew member on the Empress of Asia, which was sunk by the Japanese in Singapore on February 5, 1942 – and he spent more than three-and-a-half years as a civilian internee in Changi jail and Sime Road camp. Harry, who died in 2009, aged 85, and was only 21 when he returned to Liverpool on the Nieuw Holland, met Merle in 1956 – but she only found out he had been a POW from somebody else. At the moving service at Liverpool pier head a lesson was read by FEPOW daughter Pauline Simpson, the FEPOW Chaplain and the Secretary of NFFWRA. Among those being remembered was the late Oxton-born Brigadier Sir Philip Toosey who, as a Lieutenant- Colonel, was the senior Allied officer in the Tamarkan Japanese POW camp. His men built the bridge on the River Kwai – the 1957 film of the same name outraged survivors because Lt Col Toosey did not collaborate with the enemy, unlike the fictional Col Nicholson, played by Alec Guinness). Patrick Toosey, 77, NFFWRA Patron, who still lives in Oxton, recalls: “I was 12 when my father returned on the Orbita on November 9, 1945. There was just a sea of people and they included people who didn’t know whether their loved ones had survived. I can still recall one woman running and shouting ‘Has anybody seen my Johnny?’ We were among the lucky ones. Patrick’s father was knighted in 1974, the year before his death at the age of 71. 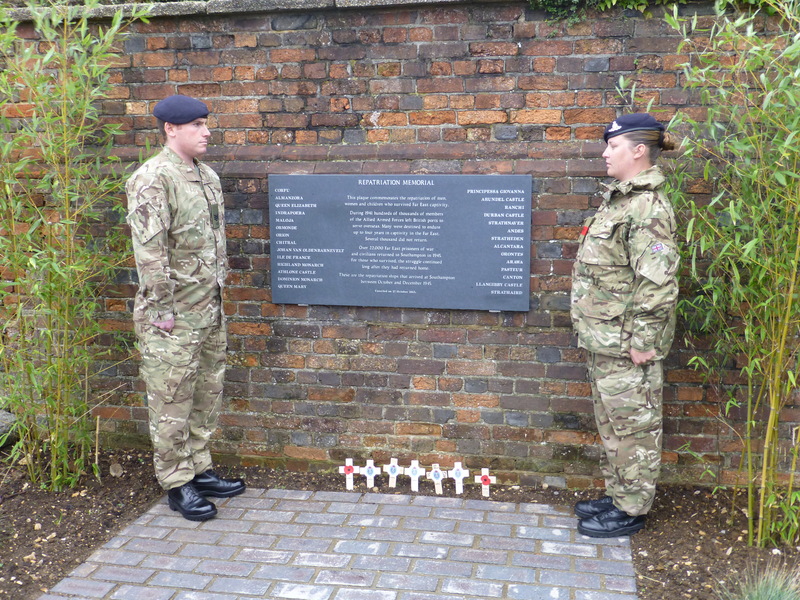 Two of Sir Philip’s great- grandchildren, Zach and Eliza Parsons, nine and seven, who live in Leicestershire, laid a wreath at the service, while former POW Maurice Naylor, MBE, 91, who also lives in Leicestershire and who served under Lt Col Toosey, unveiled the plaque. Maurice says: “There are not many of us left now and soon there will be none. It is therefore to the great credit of the Researching FEPOW History Group that they conceived and have seen through to completion this lasting memorial to those who, having survived, nevertheless had to contend with the long-term physical, mental and emotional effects of captivity. “It is a memorial, too, to the girlfriends, spouses, parents and grandparents who had to put up with us and our idiosyncrasies. “And we must remember those many thousands of our fellow prisoners who, sadly, died during their captivity from disease, neglect and brutality in atrocious conditions. Their families continue to suffer too. This entry was posted in Special Events on October 16, 2011 by fepoweditor.